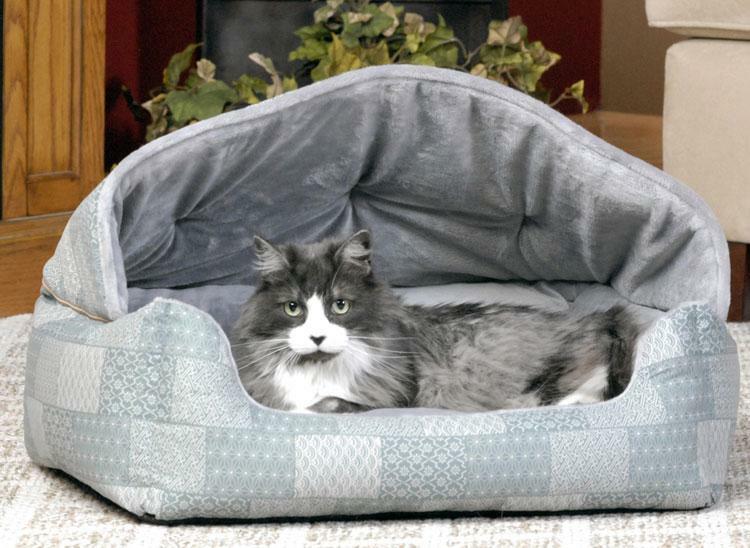 This snuggle bed will give your dog privacy and secured space to relax in. The pillow can be detached and it has a zipper making it easy to machine wash. 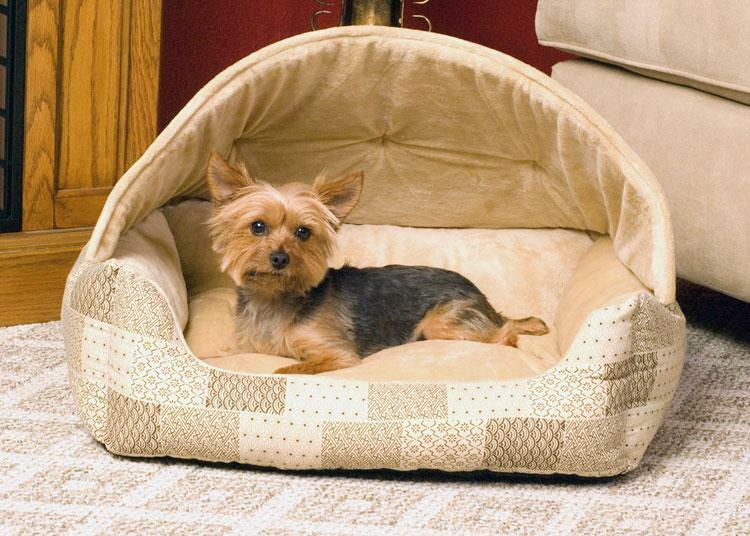 The pillow inside is made from micro fleece while the outside bolster and hood is made from attractive and durable poly/cotton.